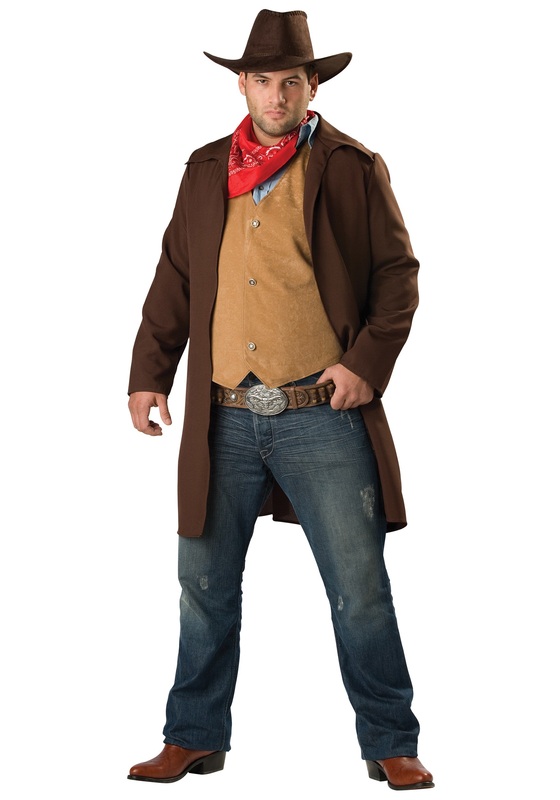 Keep them doggies rolling in this plus size rawhide wrangler costume! 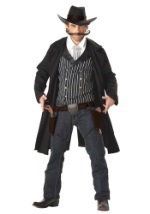 The mens cowboy costume consists of a beige vest with silver star buttons that slides over your head and ties around the back of your waist. 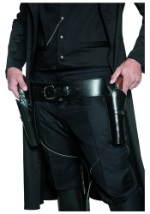 The dark brown polyester jacket is worn over the vest. 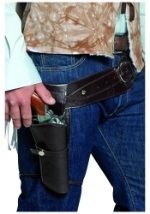 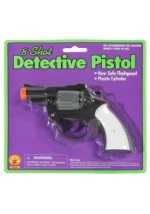 A detailed vinyl belt with realistic looking bullets and buckle is tied at the back of the waist. 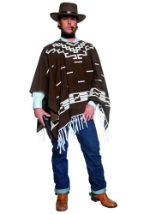 Also included is a red bandana and a dark brown cowboy hat. 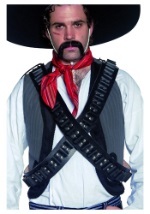 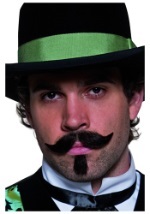 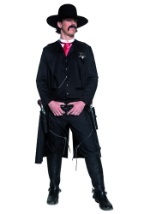 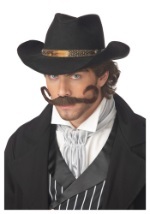 Be sure to get our outlaw mustache to complete your rugged wild west look.